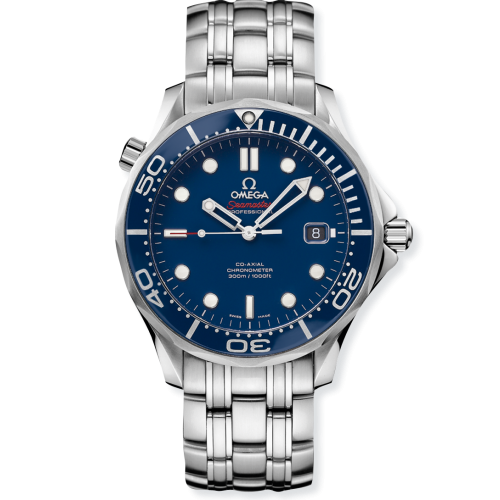 Since 1948, the OMEGA Seamaster has underscored the brand's long link to oceanic adventure. With an established history of unforgettable moments, the Seamaster has survived James Bond's daring stunts since 1995 and it broke records with free diver Jacques Mayol. 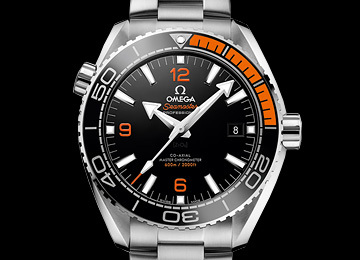 Over time the Seamaster's personality has remained. Today, the Planet Ocean 600M, Diver 300M, Aqua Terra 150M and Ploprof 1200M boast greater water resistance and more advanced technology. 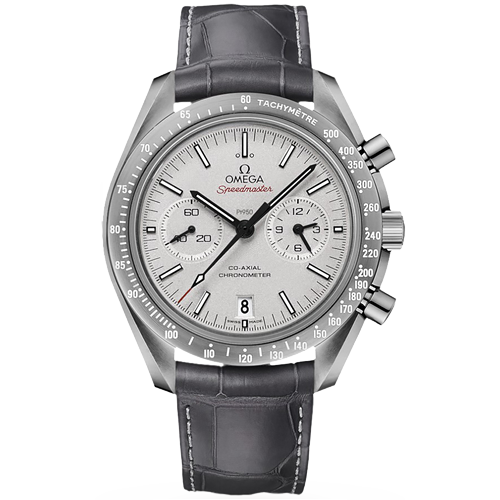 In 1969, The Speedmaster was the first watch on the Moon. The following year, it contributed to the safe return of the Apollo 13 astronauts to Earth. The new ceramic Speedmasters honour a proud past but there's no doubt that these chronographs are all about the future. 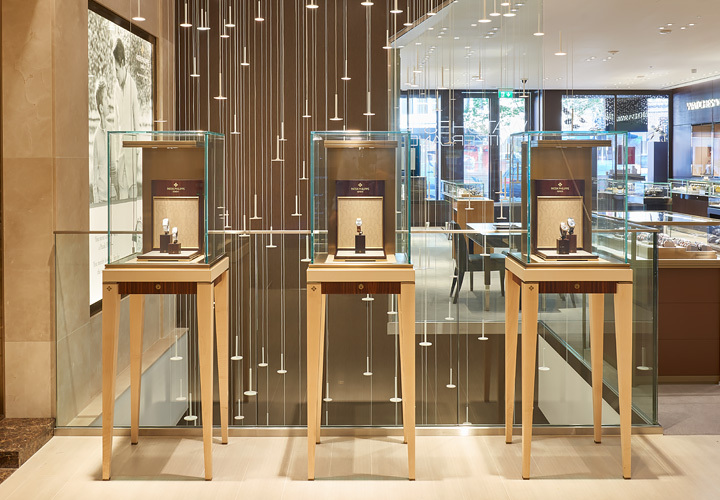 The OMEGA De Ville collection is defined by timeless styling. 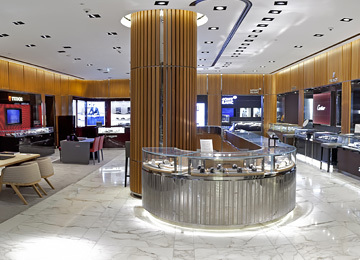 It is also a watch family that has introduced some of the brand's most innovative technology, including the revolutionary Co-Axial calibre in 2007. 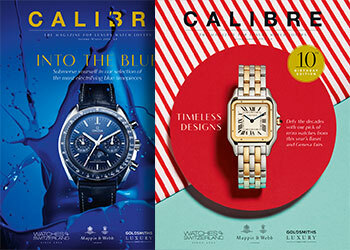 Today, each wristwatch in the collection is an example of superb watchmaking workmanship. De Ville has paved the way in terms of design and innovation by combining superb eye-catching appearances with impressive, high-performance mechanics. 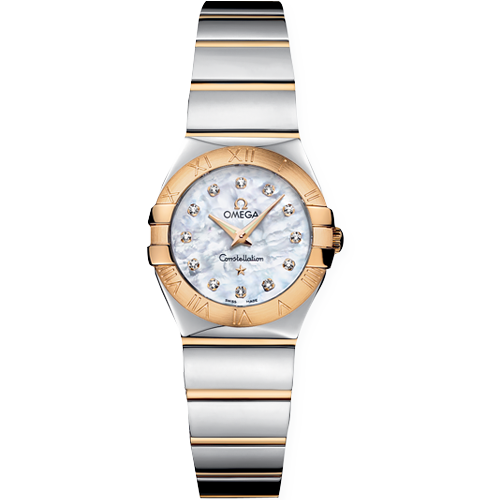 The OMEGA Constellation watches, with their distinctive griffes or claws, are among the world's most recognisable timepieces. The newest chapter in the Constellation story is the OMEGA Globemaster, the world's first Master Chronometer wristwatch. 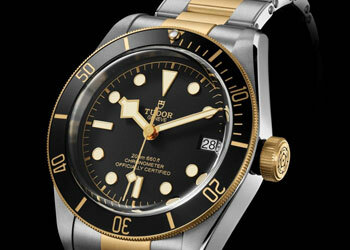 It earned its coveted Master Chronometer status by passing eight tests approved by the Swiss Federal Office of Metrology. The Globemaster introduces a new quality standard for the entire industry. 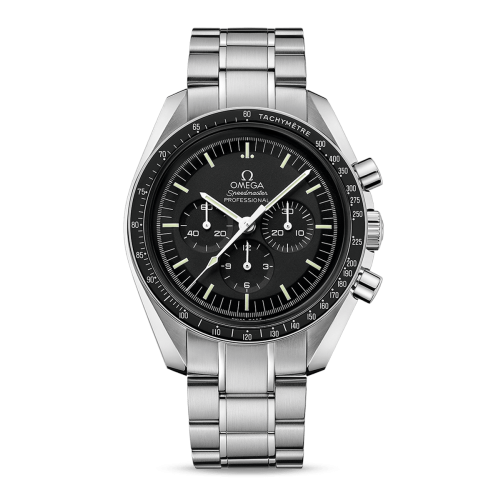 One of the giants of watchmaking, OMEGA enjoys brand recognition all over the world – and on the moon. 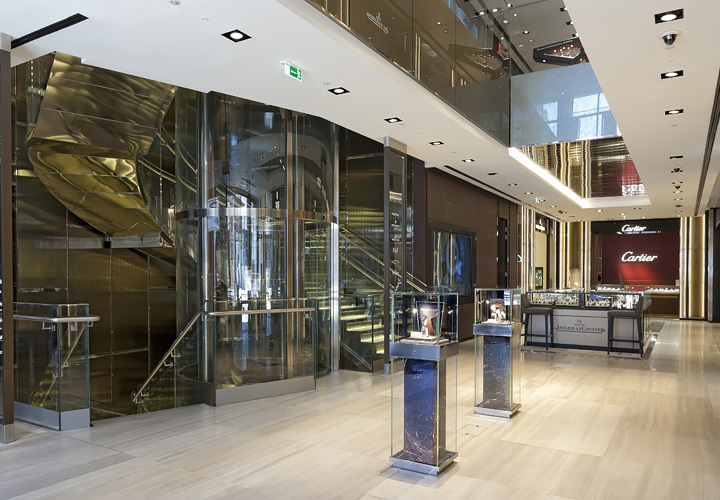 Since 1848, OMEGA has continuously made history and has established a reputation as one of the world's great watch brands. 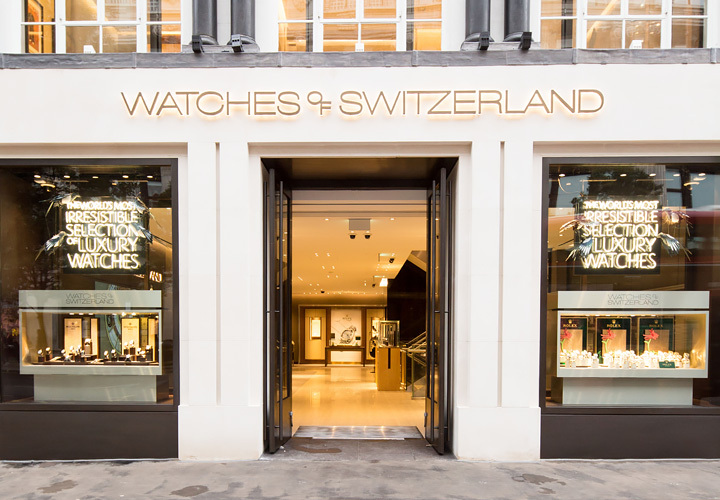 Masters of the traditional art of watchmaking, we have proved ourselves to be among the industry's most adventurous pioneers. For more than a century, OMEGA has been involved in the precision timing of international sporting competitions in athletics, swimming, golf and sailing and, since 1932, the Olympic Games. The Olympic and Paralympic Games give OMEGA the opportunity to serve the world's best athletes with ultimate precision and unreserved pride. Introduced in the OMEGA Globemaster, the new Master Chronometer certification is granted to watches that pass a series of eight tests approved by the Swiss Federal Office of Metrology (METAS) and whose movements have already been qualified as COSC-certified chronometers. Master Chronometer marks another turning point for OMEGA, whose legacy has been built on its commitment to quality, design, precision and quality.